Roissy airport is located 25km North of city center. It is by far the largest airport serving Paris. Trafic is quite heavy and your bill may be a nightmare if you don't take a flat rate door to door shuttle. Passengers arriving to Roissy Charles de Gaulle have plenty of choices to get to and from the airport: Coach, taxi, shuttle and private sedan services. You can either select private or shared transportation between Roissy CDG airport, terminal 1, 2 and 3 and any address in Paris. 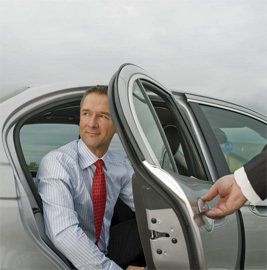 Book your Charles de Gaule airport transfer before you go and save time, stress and money. 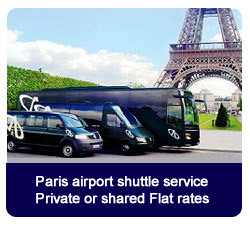 * Estimated price - One way transfer Roissy - Paris city center.